If you had any doubts about the the ability of Firefly, Serenity and Buffy creator Joss Whedon to bring it hard on a huge tentpole action flick, the latest Avengers trailer should allay your fears. In a booming 2 minutes 29 seconds, it made me believe in the payoff that Marvel has been working toward with the Iron Man, Thor and Captain America movies over the last few years. There’s plenty of explosive action, team infighting, a giant alien vessel/being of some sort and plenty of Samuel L. Jackson chewing the scenery. So far so good, as far as I’m concerned. 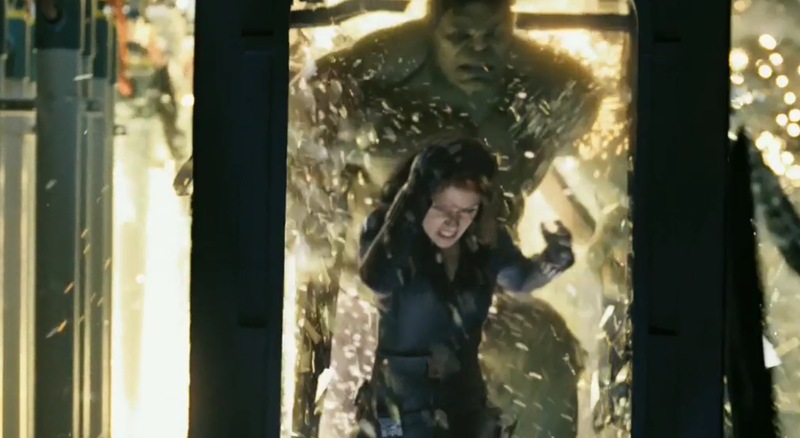 I’m really loving the ‘Hulk grabs Iron Man in midair’ moment too. Best trailer ever? Probably not. But a darn sight better than the first trailer and more informative than the teaser. The Avengers rolls into theaters on March 4th.